Just yesterday, Brian and I were putting together a new, reusable style design for an upcoming event, and that's when it suddenly hit me. The last time I talked about Snyder's Step + Repeat custom banners was when Snyder Entertainment provided custom banners and backdrops for the 50th anniversary of the CMA awards right here in Nashville! Being a part of such incredible events like that one is really what inspired todays post about our custom backdrop and banners. When you want to elevate your event, wow your investors, make your guests feel like celebrities, and add a personal touch to your event, let Snyder Entertainment produce a high-quality, customized banner! Our heavy duty banners can be used both indoors or outdoors for your event, and once you review your design the production time is quick. Our custom banners and backdrops are perfect for corporate functions, weddings, birthday celebrations, private parties, and even pair great with our photography services, photo booths, and our Step & Repeat Photography option. Let us roll out the red carpet for your next event and create a true experience! Aside from various corporate events, these banners are great for photography and entrance pieces for events such as Proms, Homecomings, store grand openings, town events, office holiday parties, concerts, and one place we've seen these lately have been at graduation parties. These go great with our photo booths as well, and we can provide an on-site photographer and videography services to capture each moment as it happens. Keep reading to learn more about those options, as well pairing your backdrop with our open air photo booths! We provided our banners in all different dimensions, sizes, and shapes to fit your location. Based on your expected guest count/audience size, we can help you decide on a size that will be right for your event. The picture to the right is an example of some of our most popular sizes. We will provide you with professional proofs of the designs for your approval, and delivery and set-up on the day of is included at no additional charge. Oh and did we mention the best part: the banner is yours to keep for future events and display purposes. 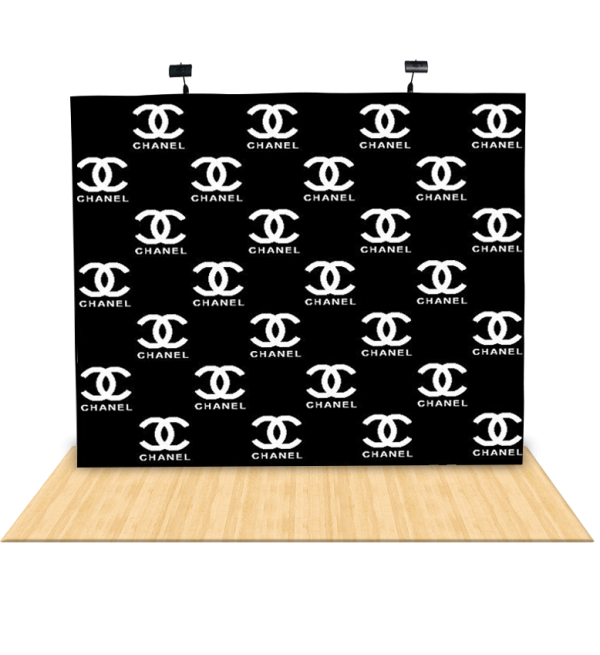 Our custom backdrop banners will have your guests talking about your event for a long time! Interested in booking with Snyder Entertainment? Want to add a custom banner to your next event? Or maybe you just want some additional information? Contact us today!